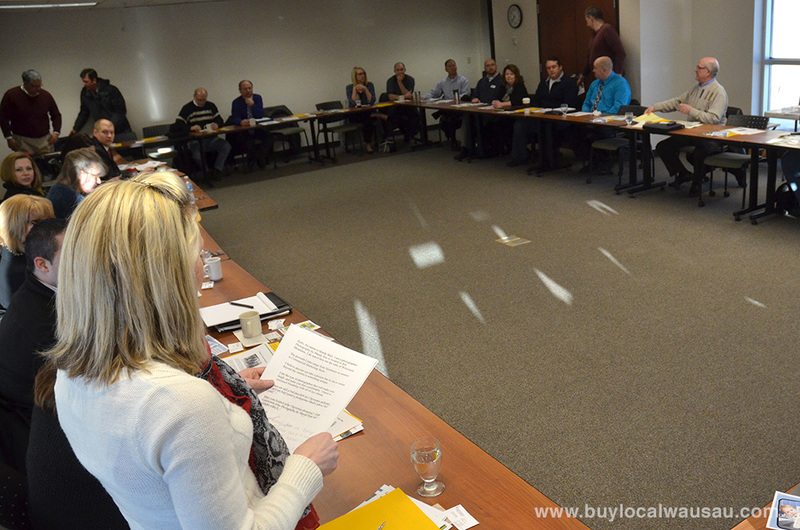 The February installment of our popular Local Business Roundtable was the biggest and best so far. 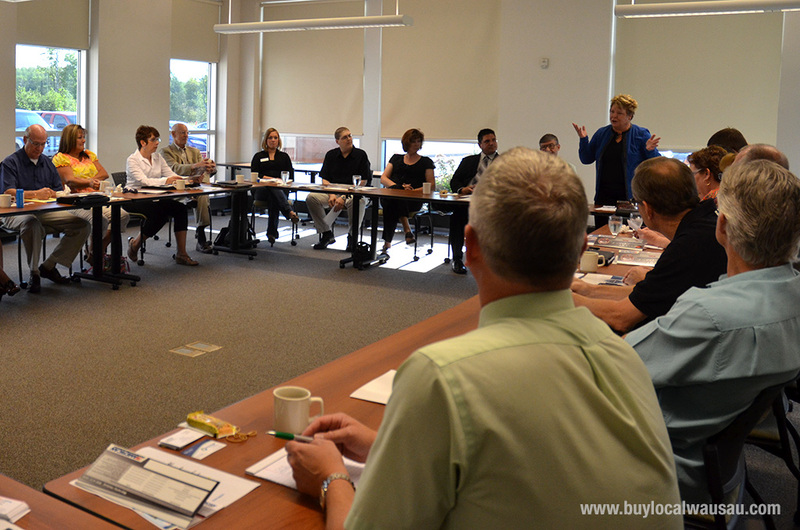 It’s great to see so many people taking advantage of this monthly free networking opportunity. 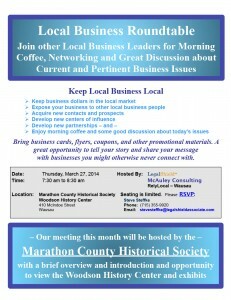 So please join us for this month’s “Keep Local Business Local” networking breakfast and roundtable discussion on Thursday, March 27th. This month we are taking the show on the road! Join us at the Marathon County Historical Society- Woodson History Center for an informative discussion on business in Wausau/Marathon County and a tour of the the museum’s new permament exhibit: Our Stories, History of Marathon County. Bring business cards, flyers, coupons, and other promotional materials to share. We’ll have a table set aside for handout materials. Also be prepared to give a short (45 second) introduction, or elevator pitch, of your business. Breakfast (continental) is on us. The Local Business Roundtable is sponsored by Steve Steffke of Legalshield, John McAuley Consulting, and Michael Martens of RelyLocal Wausau. 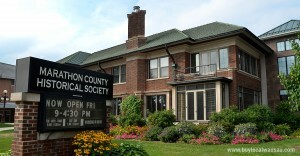 Three small businesses working together to help other small businesses succeed.